The classic choice for high achievers since 400BC, medals have entered a new age with stunning colour and 3D shapes. Reflect your organisation’s identity and professionalism with medals that are eyecatching and unique. Choose from a range of materials and designs and add extra creative touches with coloured neck ribbons, display cases and stands. 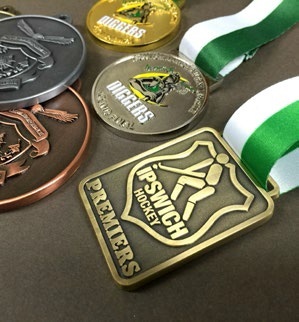 Insert medals to add your logo in full colour. Show off your logo in handsome three-dimensional metal styles. We have shiny and matt finishes with colour accents available. 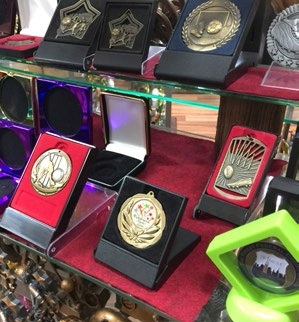 We have catalogue medals for every possible event and competition you could imagine. Personalising options include logo inlays and name engraving. 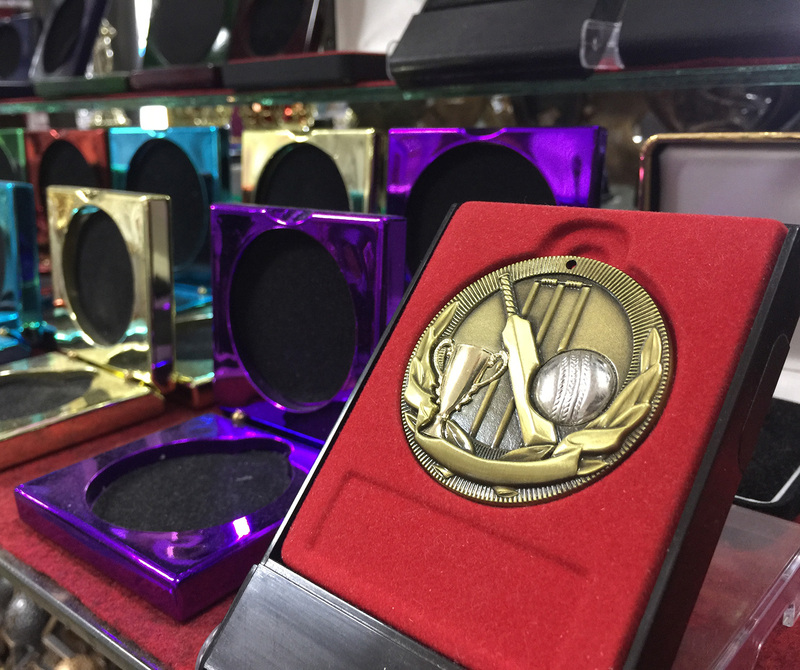 Ensure your medals stand proud with colourful cases, stands and ribbons to coordinate with your colours. Ask our friendly staff for ideas on combinations and styles.